Pioneers in using mass flow meters to increase throughput and accuracy, Kahler has the experience to solve the most complex requirements safely and accurately. As pioneers in using mass flow meters as a means of increasing throughput and accuracy to moving products with liquid facility automation, Kahler has the experience to solve the most complex requirements safely and accurately — from stand-alone systems to Kahler’s new SmarTouch 4000 PLC integrated control panel featuring touchscreen interfaces. Learn more about Measurement & Blending Equipment, Software, Tank Level Monitoring, Unstaffed 24/7 Operation, Rail/Barge Receive & Loadout System, and Truck Traffic Control below. Choose from mass flow meters, volumetric flow meters, increasing or decreasing weight platform scales, truck scales, scale-based liquid blenders and chemical weigh-tanks to accurately dispense and blend products. 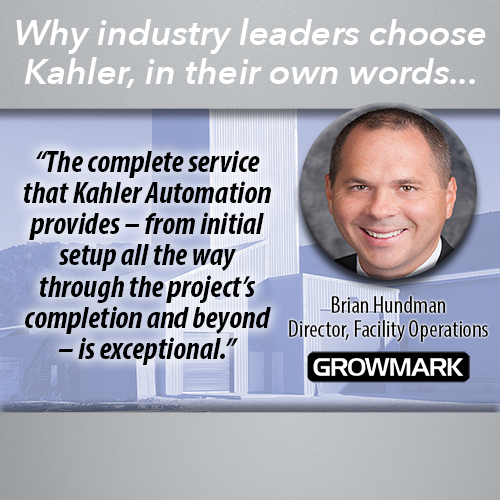 Your preferred measurement technology can be integrated into Kahler’s control system. Terminal Management 2 (TM2) is Kahler Automation's web-based software solution for modern bulk material facilities. TM2 gives users the ability to manage their site from any location where a web browser and internet connection are available. From TM2's secure dashboard, authorized users can create, review and modify orders for each remote facility. Once an order has been dispensed, all transactions may be analyzed and billed automatically. Customized reports may be viewed on-demand or on-schedule, monitoring a facility's vital information. Secure log-in accounts are created for each user in an operation. A site's administrator determines who has access to each area within TM2, letting users focus on just what they need to get the job done. This security prevents accidental or malicious tampering, and protects private, owner-specific information. Touch display units offer an easy-to-use interface for entering product requests, selecting loadout destinations, and monitoring the status of product delivery. Configure products, manage users, and retrieve transaction information from the built-in IP web-based interface. Inventory data is captured automatically during the bulk product receiving process. The quantity received, transport number, and product type can all be documented at this time. The bulk product, supplier, and other information can be entered ahead of time, or supplied at the time of receiving. Order entry, inventory, receipt and report viewing, etc., can be done from any computer, tablet or smartphone. E-mail may also be used to deliver load tickets and reports.